The Kruger suffers from periods of drought and when the dry season descended on the park, past officials decided to build artificial water sources for the animals. When on a Kruger Park safari, chances are good that you will see both existing manmade dams, and demolished. Although there are several rivers running through the park, certain measures were still taken to ensure sufficient water was available in all areas inhabited by the animals. After careful research was done, it was decided that dams should be constructed in certain key areas of the park. Now decades later, after looking at the research done back then and also at the impact that the man-made dams have had on the environment, it was decided that, for ecological reasons, it would be in the best interest of the animals and the environment to remove some of these man-made dams. Why remove man made water sources? Artificial watering holes have over the last decade been slowing removed in an effort to restore the environment back to its original state. It was found that animals stopped moving away from the artificial watering holes in the dry season to go in search of water, preferring to rather stay close to the artificial watering holes. This lack of movement had a dyer effect on the natural ecology of the area. Over grazing and much soil erosion occurring around the watering holes, showed that these water sources weren’t having such a positive effect. In fact, it was resulting in animals dying of starvation in and around the watering holes, as the grazers had stripped the area of food. Dead animals in and around the watering holes lead to the water in those areas being poisoned which in turn had a negative effect on the animals and fish that live in the water. 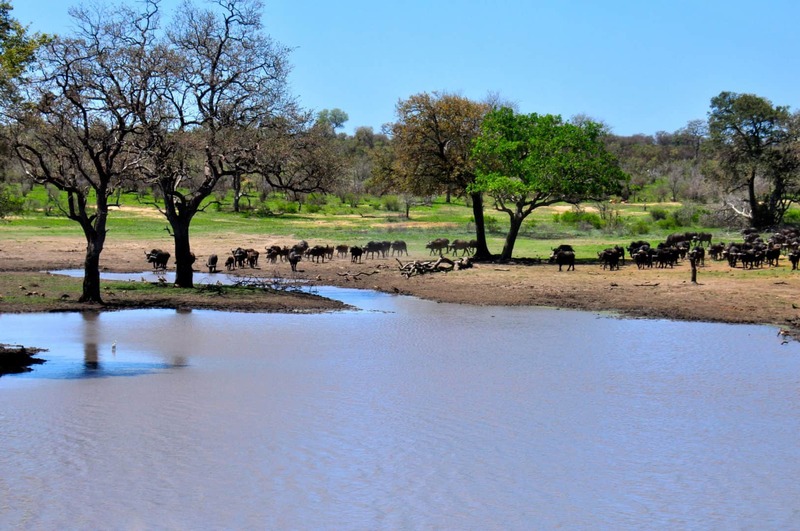 By reversing the work done by building unnatural water sources, the Kruger National Park is working towards a more naturally available source of drinking water for the animals. Having rivers, fountains and naturally occurring water sources as the only source for the animals, the Kruger National Park will once again have its animals migrating with the water, and with that the grazing areas will not be confined to only the areas around a water hole, but spread out over larger areas which will curb erosion and restore the natural ecology on the land. The Kruger National Park rangers in conjunction with the National Defence Force and Working On Fire have taken much care in demolishing the dams. Large areas around the dams to be demolished are cleared of animals and the public roads near the areas are closed. Explosives are used in the demolition and after the dam has been demolished, all the rubble is removed to ensure the natural rehabilitation of the area.